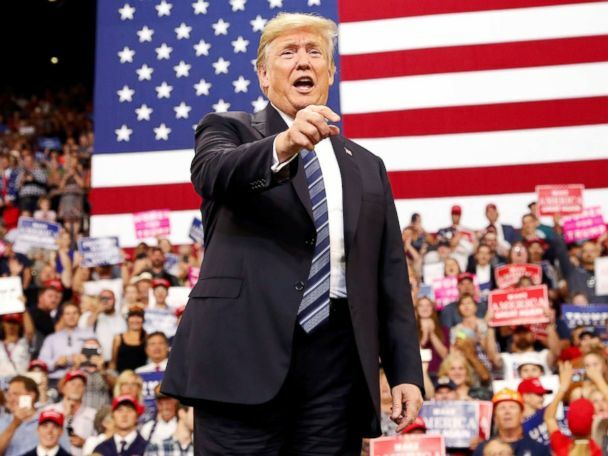 President Donald Trump’s flight to Montana for a western campaign swing that starts Thursday will have him fly over large swaths of Trump country — or, at least, what once could be considered as that. 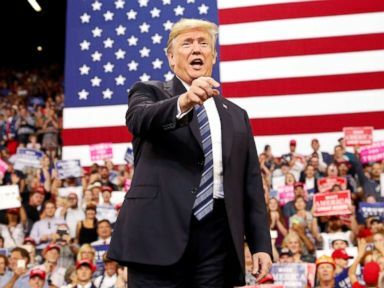 But something is rumbling in the states that delivered Trump the presidency, suggesting bright spots for Democrats in places they once saw turning bleaker. FiveThirtyEight’s new gubernatorial forecasts show the potential for a big blue shift through the Midwest. Democrats stand favored to win governor’s offices in Minnesota, Iowa, Illinois, and Michigan, with toss-up races in Ohio and Gov. Scott Walker’s Wisconsin. In the battle for the House, more than 30 competitive races stretch across 10 Midwestern states — including six seats in both Michigan and Ohio, three in Iowa, and two in Kansas. While Sen. Claire McCaskill, D-Mo., is in a dead heat, Republican Senate pickup opportunities in Wisconsin, Michigan, Ohio, and Minnesota have largely fizzled. The race for control of Congress rightly will capture the biggest headlines over the next three weeks. But control of governors’ offices matters for items like Medicaid expansion and redistricting — and could herald regional realignments that matter in 2020 and well beyond. It is hard to imagine American voters driven to vote one way or the other by the international story this week about the missing American-based Saudi journalist, Jamal Khashoggi, and his suspected murder in Turkey. But the growing scandal around the story — whether the Trump White House really cares; whether it will hold Saudi Arabia accountable; financial ties between the administration and the Saudis; and talk of arms deals and backroom negotiations — all feels very, very swampy. And voters are tired of the swamp. We see that playing out across the country. The fed-up-with-Washington sentiment has helped propel the astonishing number of candidates this year who are brand new to politics. In the latest ABC News/Washington Post poll, 76 percent of respondents listed “changing the way Washington works” as a top issue for them — ranking it above taxes and immigration. Democrats like their chances of winning back a majority in the House, that much we know, but what happened to the party’s dreams of controlling both chambers of Congress? Gaining an advantage in the Senate was always going to be a steep climb, but in the last week alone, Democrats’ hopes appear to be fading by the day due to a seemingly unending stream of bad news and self-inflicted wounds. Take Sen. Heidi Heitkamp — already in precarious position as a red-state Democrat who opposed Brett Kavanaugh’s confirmation — whose campaign mistakenly identified sexual abuse survivors in a newspaper ad. Then there’s Sen. Bob Menendez, who should be cruising to re-election in increasingly blue New Jersey, but instead has been forced to respond to unsubstantiated claims he visited underage prostitutes. And in Arizona, the biggest headline out of the Senate debate between GOP Rep. Martha McSally and Democratic Rep. Kyrsten Sinema Monday was McSally accusing Sinema of backing “treason” when, during a hypothetical discussion in 2003, she said she didn’t care if a radio interviewer joined the Taliban, and then McSally attacking her for protesting the wars in Iraq and Afghanistan. 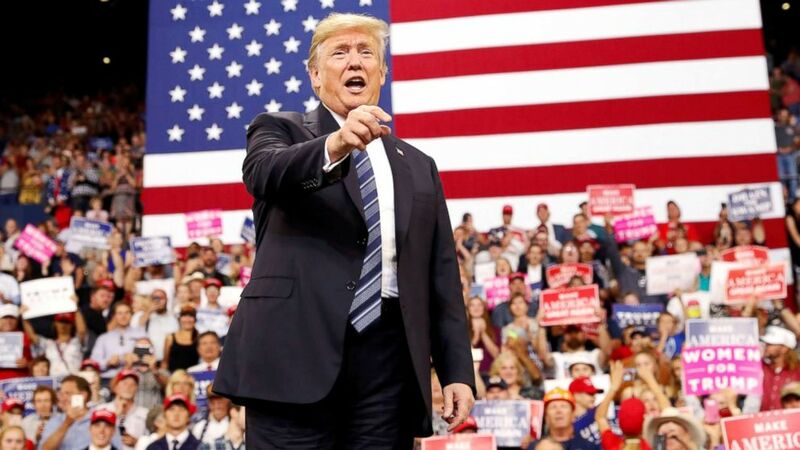 A split Congress is still the most-likely scenario, but given the multitude of close Senate votes since President Trump took office, Democrats should be concerned that, if the last-minute embarrassments continue, the GOP’s advantage there could get even bigger. The Note has a new look! Download the ABC News app and select “The Note” as an item of interest to receive the day’s sharpest political analysis. The Note is a daily ABC News feature that highlights political analysis of the day ahead. Please check back tomorrow for the latest.